"A Proposal". Saxon gives Dexter an ultimatum. 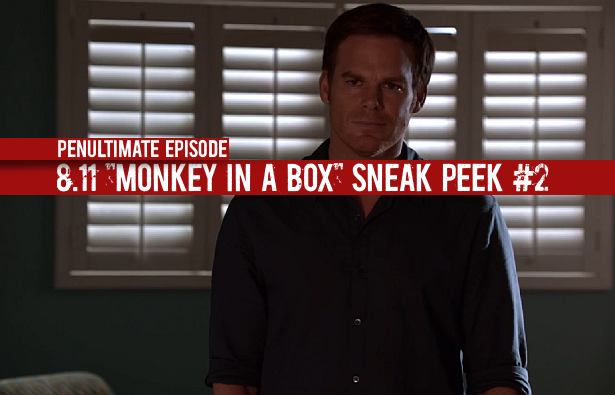 Watch after the jump, the second sneak peek clip of this Sunday's penultimate episode of Dexter, 8.11 "Monkey In a Box"!